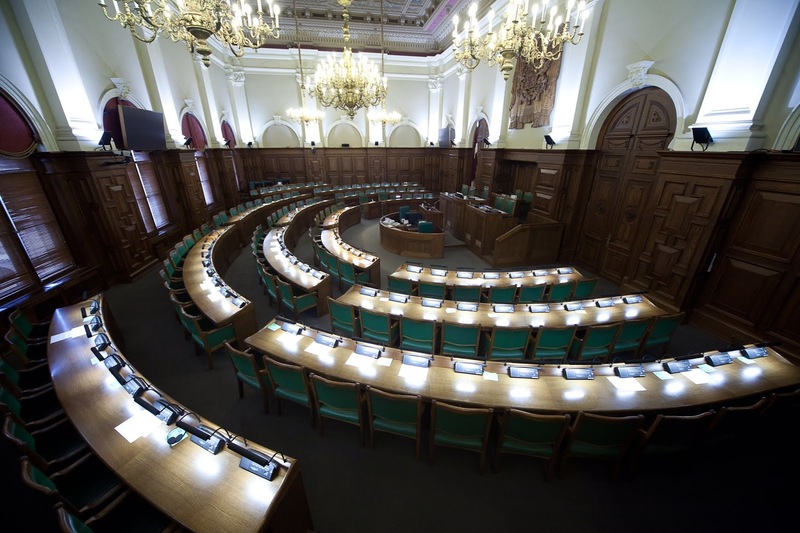 This is the second of a two-part series about Saeima deputies' immunity from prosecution. 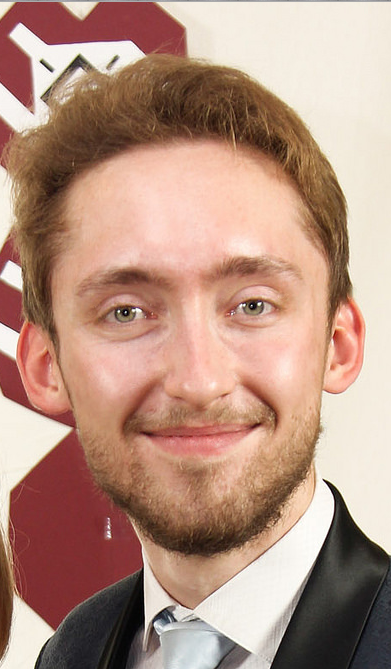 Our columnist Kris Akenfelds wrote an article in favor of eliminating Saeima's immunity on Saturday, and today podcast co-host Otto Tabuns has penned a response in favor of maintaining the immunity. The Latvian Constitution is the law of the land that our representatives have agreed to ever since 1922. It was inspired by constitutions of countries such as Switzerland and (the Weimar) Germany. These were examples of constitutional order more democratic in the 1920's than Athens in the time of Aristotle, and certainly not less democratic that the U.S. when led by Theodore Roosevelt. Articles 29 and 30, as most other articles, have been part of the Constitution since it was written. 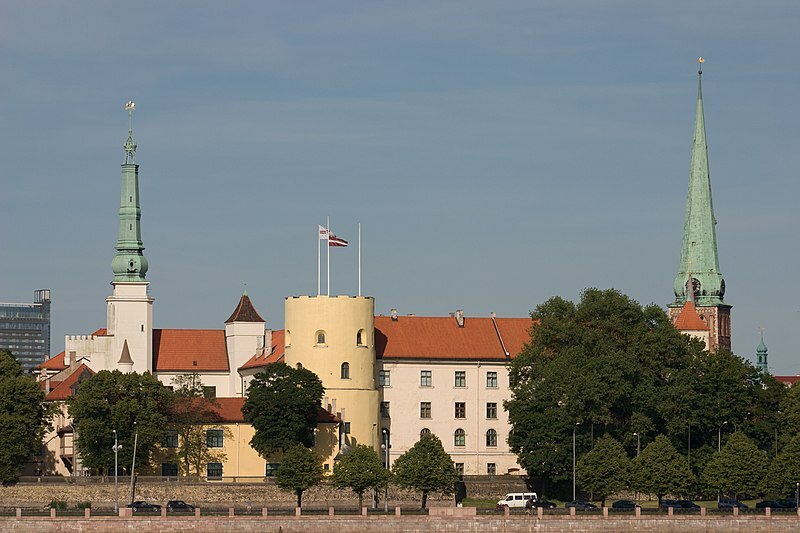 The Republic of Latvia has always been parliamentary and was created that way in order to avoid excesses of unchecked one-man rule of political (such as the Tsar), military or religious kind (such as the Crusaders). The members of the Saeima – the parliament – are part of us, the citizens of Latvia. Yet, as in any representative democracy, they are vested with a greater power to make decisions that will affect us the most. Although one might see the president or the prime minister in the news more often, there is no government without parliament giving their confidence (Art. 59) and it is the parliament that elects or dismisses the president (Art. 35 and 51). In this regard, the Latvian parliament is certainly not just a bunch of politicians. They are the most important politicians in Latvia, and have this distinction because the Latvian people chose to make them such. According to the Constitution, parliament is the key lawmaker (Art. 64), approves the budget (Art. 66), decides the size of the armed forces during peacetime (Art. 67), and is the sole institution that approves all international agreements, including ones delegating national power to international institutions (Art. 68). Furthermore, it is only the parliament that may decide issues of conscription, declarations of war, declarations of peace, states of emergency (Art. 73), and amnesty (Art. 45). It is also important to note that Article 52 empowers the speaker of Saeima to take over the powers of the president when the latter is incapacitated or is prevented from exercising one's duties. Often overlooked is Article 54, which gives criminal immunity to the president, unless it is lifted by two thirds of Saeima. Riga Castle is not really the Latvian White House, and neither is 36 Boulevard of Freedom really our 10 Downing Street. The parliament is the political dreadnought, where the buck stops (and, per Article 66, where public bucks start out). Therefore, the safeguard for members of parliament from a possibly arbitrary or politically motivated restriction on their freedom ought to be reconsidered with caution. As noted by Mr. Akenfelds, it is difficult to fall back on the fact that Latvia is not alone in providing immunity to its legislators. However, if we take a look at the history of Latvia, it is possible to observe why that it is not, indeed, the only argument. After the Revolution of 1905 in the Russian Empire, following the lost Russo-Japanese war, Tsar Nicholas II agreed to institute the State Duma, making Russia a constitutional rather than an absolute monarchy. One of the deputies from Latvia, then part of Russian Empire, was Jānis Čakste, a lawyer who would later become the first president of Latvian Republic. The Tsarist authorities persecuted him, along with 167 other deputies, for publicly disapproving the illegal dissolution of the first Duma by the Tsar. Čakste was sentenced to three months in prison and prohibited from civic participation, including running for the next State Duma. This must have been one of the reasons why the Latvian Constitutional Assembly, coincidentally led by Jānis Čakste, validated the inclusion of immunity for deputies as an important defense mechanism in a new democratic system. A few decades later, after the coup in 1934, Kārlis Ulmanis imprisoned the member and speaker of the 4th Saeima, Mr. Pauls Kalniņš, in violation of the Constitution. Furthermore, the puppet government installed by the Soviet Union after the occupation in 1940 arrested deputies of the 4th Saeima, such as Jānis Breikšs, who tried to establish electoral lists to challenge the single Soviet-approved list permitted to run in the election of 1940. In both of these cases, the Constitution deemed such arrests illegal and validated the authority of Mr. Kalniņš as a deputy, speaker and the acting president, when he signed the Memorandum of the Latvian Central Council in 1944 to regain our independence amidst the occupation (hear more about this in Latvia Weekly International Recognition Special). These examples show why the Articles 29 and 30 were intended not to put our most important elected representatives outside the reach of judicial system. Instead, they ought to make sure that any motion to restrict a freedom of a member of parliament becomes and stays a public matter, and that the parliamentarians may verify the lack of arbitrary political motivation in the given accusation. And here it is, indeed, the reaction of voters in the coming election that may encourage or punish the deputies for their specific choices – the political responsibility in a democratic system. Although the question of Šlesers's immunity caused quite a reaction in its day, I would question the outrage of Latvian voters being key to why most cast their votes the way they did. Šlesers was the invoked cause and a likely concern for many, yet let us look at our constitutional order from inside. In our (as in any parliamentary and proportional) system, each of most voters is represented by a single faction of no more than twenty something out of a hundred. It is not the majority or the runner up, as in the British Parliament or American Congress. As this demands compromises from everyone, the voter might become disillusioned and not be even happy even with the lot that one actually chose to represent them, ending up not liking the parliament at all. Accordingly, it is more likely than in majoritarian or presidential countries that most every motion to let the parliament go would win, whatever the reason. In regard to Saeima not electing Zatlers the second time, one has to note that in the 11th Saeima the Latvian voters elected back most of the same deputies whom they had just let go. That would qualify my point about the general dissatisfaction with Saeima that can always be expected, and would also explain at least the personal motivation of many members of parliament of not wanting a president that did not want them in parliament. Whatever might be our opinions of persons that we consider oligarchs or whistleblowers, popular rumors, hearsay or labels are not grounds to differential treatment in a rule of law system if we keep building a rule of law country. Otherwise, the banking case, where the questioned quality of evidence might be the direct result of a hasty response to popular pressure will not be the last in which the decent effort of law enforcement ends up wasted, as do our taxes. I believe that we ought not to carve our well-tuned Constitution for headline catching, yet incidental cases regarding specific public figures. We must not threaten the rest of the parliament that do not fall under the allegations of oligarchy or whistleblowing. If we choose to pursue the suggestion of Mr. Akenfelds, in my opinion, the order of the steps should be changed. First, we have to proceed with judicial reforms to make the system more efficient, which can then be proven by comparative studies, international acclaim and indexes, and only then we ought to pursue constitutional changes to remove these specific checks preventing executive power being imposed over the legislators. Otto is a visiting lecturer at the Riga Graduate School of Law and the executive director of the Baltic Security Strategy Project. He is a member of Latvian Political Science Association and the Association for Advancement of Baltic Studies. Make sure to press "subscribe" at the top of the page to know when other great articles about Latvia will be released, and like us on Facebook for important stories of the day each evening! I think Otto Tabūns has missed the point - the immunity of members of parliament should be revoked where the activity of the member is of a criminal nature, as distinct from an activity of a political nature. Misappropriating or stealing public funds is not a political act. Neither is the exposure of it (whistleblowing). Allowing political critisism is one thing, allowing corruption and theft is entirely another.